The reasons for the postponement have not yet been divulged. Now the launch of the Russian Proton-M carrier rocket due to deliver the U.S. EchoStar-21 satellite into orbit is scheduled for December 2016. The launch of the Russian Proton-M carrier rocket due to deliver the U.S. EchoStar-21 satellite into orbit, has been rescheduled from November to December, International Launch Services, which operates Proton international launches, announced on its official website on Nov. 21. "The new launch date is December 2016," the website says. As reported earlier, Russia’s space corporation Roscosmos had rescheduled the launch from Oct. 10 to Nov. 23. It was initially scheduled for late June, then postponed to Aug. 29 and then to Oct. 10. The EchoStar-21 satellite (previously known as EchoStar T2 and TerreStar 2), made by Space Systems/Loral, is designed for providing communication services in Europe. 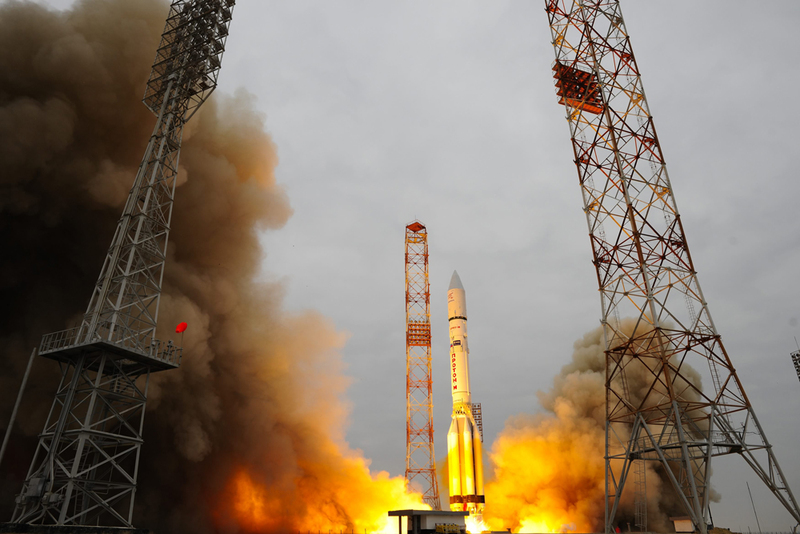 Proton’s previous launch was conducted on the morning of June 9, the rocket placed the Intelsat 31 satellite into orbit.